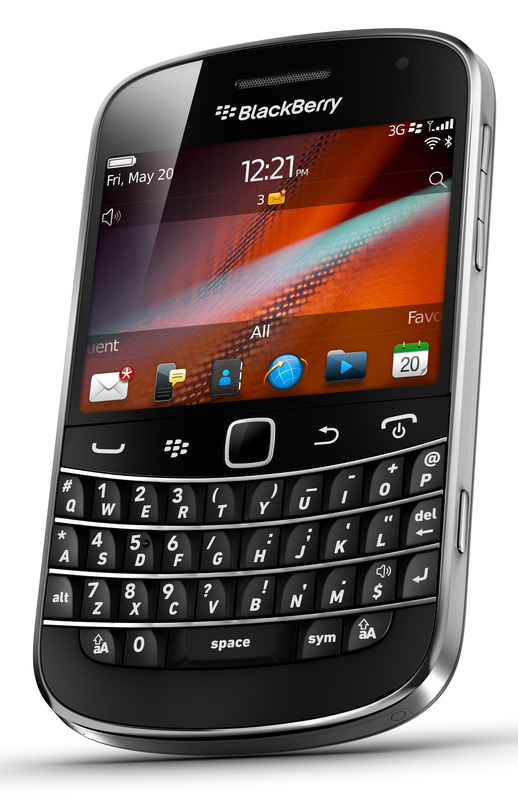 Research In Motion’s (s rimm) new flagship phone, the BlackBerry Bold 9900, is commanding a flagship price in stores: Subsidized costs range from $249 to $299 with a two-year contract and after all applicable rebates. The smartphone is earning good reviews, but few who have used the phone suggest it over one running iOS (s aapl) or Android(s goog), aside from those who are current BlackBerry users. At these prices, is RIM trying to boost its average selling price (ASP) per handset until the next generation of BlackBerrys arrives? All four major U.S. carriers will have relatively high prices for the Bold: Verizon(s vz), Sprint(s s) and AT&T(s t) plan to charge $249, while on Wednesday T-Mobile announced the Bold 9900 and told me it expects to sell the phone for $299. That figure is actually after a $50 mail-in rebate, so T-Mobile customers will need $350 up front for the new handset. I don’t expect RIM to win many new customers with this pricing, although existing BlackBerry owners happy with the platform may have good reason to upgrade. That same $299 price buys an iPhone 4 with 32 GB of memory; the new Bold only comes with 8 GB of storage, although it is upgradable through a microSD card slot. High-end Android handsets usually top out at $199, although Verizon’s LTE handsets often cost $249 as a premium for the faster 4G network. The 9900 may be the best BlackBerry yet, but in some ways it’s still behind a year or more in terms of the application ecosystem and user experience. The latter should change when RIM debuts smartphones with its newer QNX operating system, but for now, BlackBerry is still playing a game of catch-up, even as it arrives with premium prices. As of nearly a year ago, RIM stopped providing the ASP of its handsets on investor calls, leaving analysts to estimate the figure based on total handset sales and the revenues they generate. RIM’s sales are actually growing, although they’re not keeping pace with the overall market: The company’s 10.7 percent year-over-year handset growth beat out only Nokia’s (s nok) in the most recent quarter. On the revenue side then, boosting the full retail price of handsets could then raise the ASP and in turn, profits for the company. I’m not suggesting that RIM should race to the bottom of the market and take losses on its hardware. But until the company brings QNX to phones and shows that it can offer more value and a better experience than competing handsets on alternative platforms, a $299 BlackBerry is a tough sale to all but devoutly loyal customers. And those aren’t the customers that will grow the user base, since they’re already a part of it. Thumbnail image courtesy of Flickr user americanistadechiapas Research In Motion’s (s rimm) new flagship phone, the BlackBerry Bold 9900, is commanding a flagship price in stores: Subsidized costs range from $249 to $299 with a two-year contract and after all applicable rebates. The smartphone is earning good reviews, but few who have used the phone suggest it over one running iOS (s aapl) or Android(s goog), aside from those who are current BlackBerry users. At these prices, is RIM trying to boost its average selling price (ASP) per handset until the next generation of BlackBerrys arrives? I definitely agree with your points regarding pricing points; it is risky for BlackBerry to release a device and demand $299 when they aren’t controlling the market at the moment. The video scoops of the touch screen curve looks just right. Except that I find that the headphone jack on the left looks cooler. But I won’t be switching from my 9780 anyway. Got the 9780 because of the long wait for peek to get to my country. That doesn’t look like will happen. Iphone is dead unless they can clean up their screen. I hate how cluttered the iphone screen is. Love the rim’s hide icon feature and its true multitasking with reliable messaging features. It will be good for rim to have iphone 4 quality. I bought iphone4 but can’t fall in love with it as its pretty much same as my iphone 3 (almost unuseable). I hope they drop the price on this! I ditched my blackberry for a Droid a few months ago and am DYING to get another one but with faster software. I’m not huge into the apps/fancy features. If they bring this phone down in the $100’s range I will definitely be buying one! “That same $299 price buys an iPhone 4 with 32 GB of memory; the new Bold only comes with 8 GB of storage” Seriously that’s all you got? So aside from the difference in memory then, are you suggesting that the new Bold meets or exceeds other similarly priced handsets in terms of application availability, features, user interface, etc…? Just curious. Actually I was expecting more feature comparison in this statement when you compared the price. Blackberry is on the comeback trail. Apple aficionado I may be, I never really stopped loving the little encrypted Canadian Maple leaf’s somewhat obnoxious and off-beat phone. RIM fell out of favour with the tech crowd even since Apple iPhone cam on the scene. Google is beating everybody now, so I am more in Apple and RIM’s corner than ever before! Ring the alarm; the champ is not out cold but on his feet, fighting fit!! !